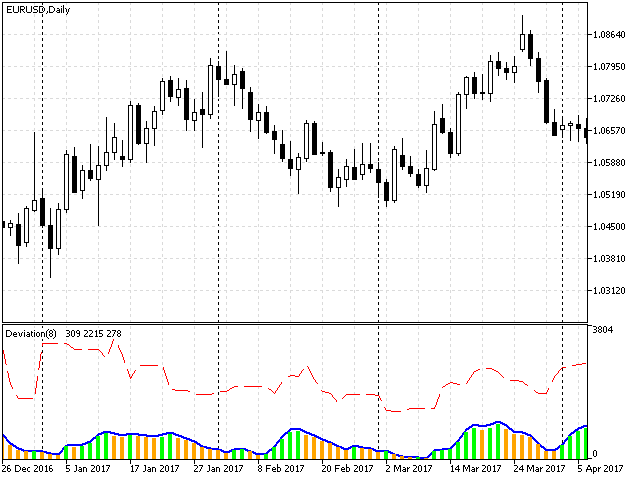 PIPs Deviation indicator measures the absolute variability or dispersion range of fast SMA with respect to current value in pip unit. Deviation is the difference between the actual and the average value. Standard Deviation calculates statistical Dev value, but PIPs Deviation reveals actual values of price dispersal and not just a statistics parameter. It determines price movements in a specific period and can be used to risk management. Colored bars help to see the movement direction better, especially in small changes. Another indicator, the red dashed line, represents price difference in PIPs between current price and period of bars before it. 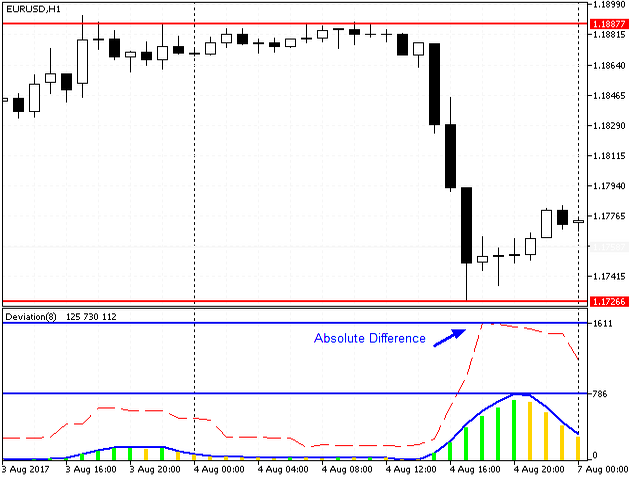 As shown in the first screenshot, variation of price for 8 bars before mentioned bar is 1611 pips, while the average deviation is about half. InpDPeriod – number of previous bars to calculate price deviation. Default value is 8, but every period greater than 2 is accepted. 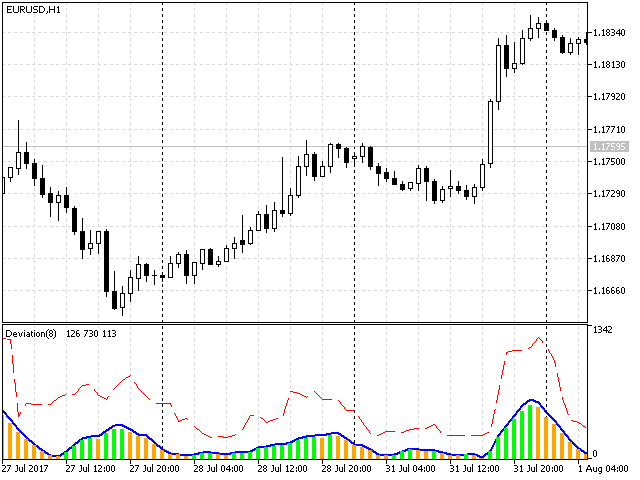 PIPs Deviation indicator can show us the tolerance of prices in a specific period and variation of market with respect to older times. It can be used in every timeframes. But it is suitable for timeframes greater than H1, especially D1 for daily variation check.